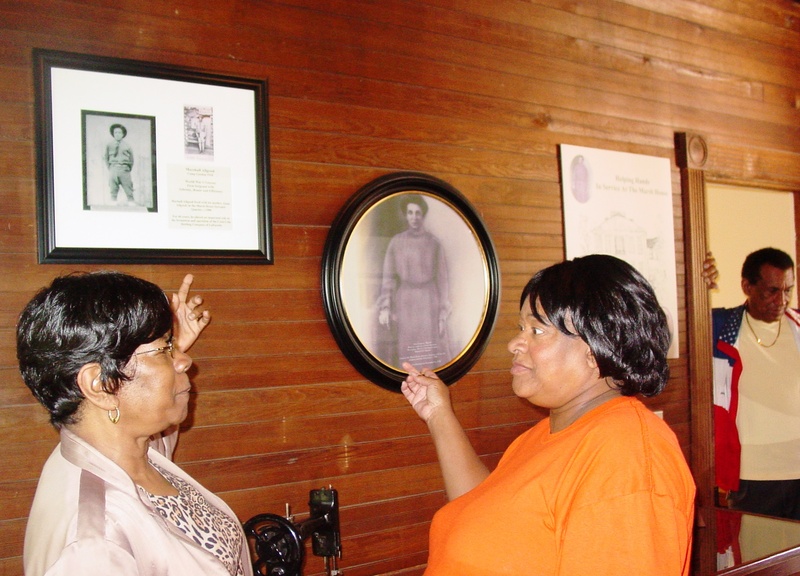 Visitors examine portraits and artifacts in the1836 Marsh-Warthen House in Walker County, Georgia. The County purchased the house and, working with the Walker County Historical Society and the Marsh House Community Task Force, made repairs to stabilize and protect the house. Rich with history, Walker County, Georgia (pop. 61,053) is home to Civil War battlefields and Cherokee roots. Located among the foothills and valleys of northwest Georgia, Walker County was formed December 18, 1833 from one of the original 10 counties of the 1832 Cherokee Land Lottery. Famed Cherokee Chief John Ross made his headquarters in the county and fought for his tribe’s rights to stay in Georgia. Ultimately, he led the Cherokees to Oklahoma in 1838 on the infamous Trail of Tears. Ross’s log home in Walker County is a National Historic Landmark open for public tours. While Walker County was no stranger to military unrest, with several earlier Civil War skirmishes taking place within its borders, it is most known as the site of the Battle of Chickamauga, the bloodiest battle on the western theater, which forever associated the county with the War Between the States. September 19-20, 1863 saw more than 34,000 soldiers killed or wounded. Chickamauga and Chattanooga National Military Park was dedicated in 1895 and is the oldest and one of the largest military parks in the United States, spanning 8,000 acres. Today the county is experiencing growth from Atlanta and Chattanooga but has established ways to protect the historic resources and history of the region. The county purchased the 1836 Marsh-Warthen House and, working with the Walker County Historical Society and the Marsh House Community Task Force, made repairs to stabilize and protect the house. The historic landscape design plan is completed, and original Marsh House furnishings are being sought. Marsh-Warthen House is open for tours every weekend and has now become a favorite site for weddings, parties, formal galas, as well as serving as an educational tool. It has inspired the city of LaFayette to restore its old Chattooga Academy, next door to Marsh-Warthen House, as well as the donation of a commercial building from a county citizen to use as headquarters of the Walker County Historic Preservation Commission. The Commission is updating a historic structure survey and is leading other county historic preservation efforts. The first historic overlay district was established in 2005 to guide both commercial and residential development around the Chickamauga-Chattanooga National Military Park. In addition, the McLemore Cove Historic District has organized its own preservation society and is preparing design and development guidelines to present to the Commission for consideration. Walker County is home to War Between the States Day to commemorate the Battle of Chickamauga, including a reenactment and a period ball at the historic Gordon Lee Mansion. 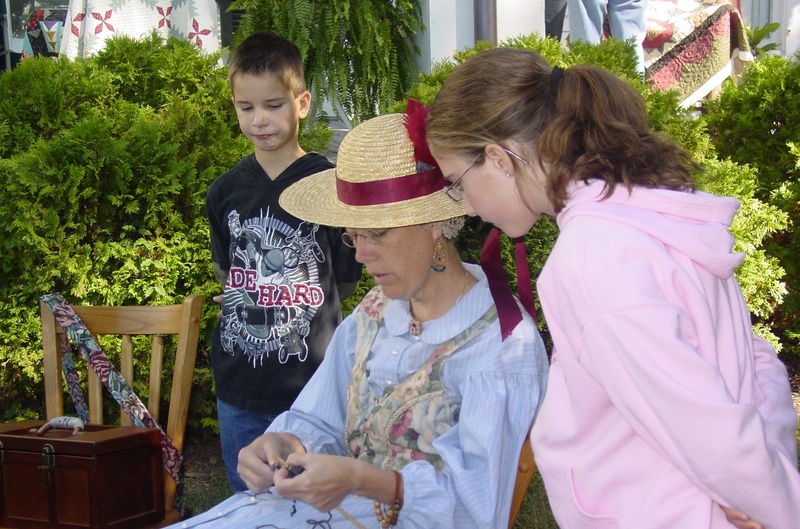 Down Home Days is a heritage festival celebrated each spring in downtown Chickamauga, and the John Ross Festival is an annual commemoration of Cherokee heritage. The African American Heritage and Fun Festival emphasizes Cherokee and African American roots of the county, and a rodeo presented each Labor Day weekend in McLemore Cove carries on a 55-year tradition in this unique agricultural National Historic District.